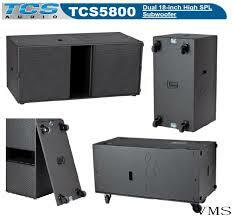 The TCS5800 is a dedicated dual 18-inch subwoofer ideally suited for high SPL subwoofer array applications. Midsize arrayable 2-15” subwoofer. 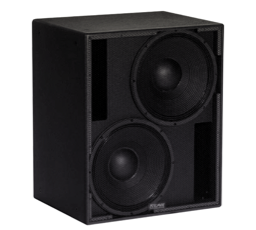 The VT 4882 is designed to deliver high quality sound reinforcement of sub-low frequencies for live music and a variety of sound reinforcement applications. 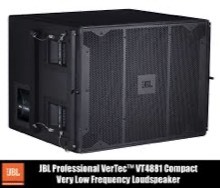 Compact 18” arrayable subwoofer designed to deliver high quality sound reinforcement of VLF (very low frequency) musical information for a variety of applications including concert audio and theatrical presentations of all types. Dual 15” subwoofer ideally suited for indoor applications or drum fill.